Although the car can't actually handle the cities themselves. The “Audi Piloted Driving” program has already given us an RS7 that can drive around a track at racing speed. That's pretty impressive, sure, but it doesn't really mean much to consumers who want practical autonomous cars. But the race car was just the first step. 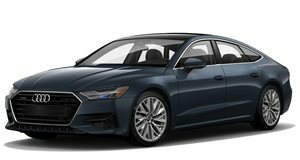 In keeping with Audi's image that technology moves quickly from race cars to road cars, an autonomous A7 was taken on a road trip from San Francisco to CES in Las Vegas. Audi boasts that a number of engineers and journalists got a chance to sit behind the wheel during the trip, presumably as some kind of Dadaist exercise in feeling utterly useless. The car can handle speeds of up to 70 mph and can safely change lanes all by itself. But city traffic is still too much for the car to handle, and a warning will sound when the car is feeling overwhelmed and in need of a human to take over. Many of the sensors which make this possible are already headed to production, and will appear on the 2016 Q7, although obviously just as driver aids and not as an actual autonomous system. We've got a video of the drive, in German, but we've already given you all of the salient information anyway.